I had a great Birthday. Georgia Brown took me to Venucci in LaGrange GA. SGB had shrimp Alfredo and I had veal Melanzan. Tasty for sure. Welcome to the forum. I have had good results removing stubborn grout haze with dry burlap. Grouted. Welcome to JB. Used to live and contract in DC, MD and VA. Licensed and insured as well. Living and a licensed GC in GA now and do not miss the Beltway and surrounding areas. Hope you get things sorted out Erin. Sounds like a do over. Looks like a well engineered plywood top. Sounds like you are moving forward Hank. What goes on plywood subfloor? Have you checked your floor system with the Deflecto tool in the dark blue banner above? Removing embedded soap dish thing...help! Some metal soap holders have screws on the sides that have an expansion strip/plate on them. Kinda like the GEM plaster boxes that pushed a plate off the wall behind to hold it in place. I use Rockite (http://www.rockitecement.com) for such patches. Works well and sets in minutes. You could use Bondo as well. 3/4" transition from laundry closet with kerdi band,Options? Check with a stone fabricator for a custom transition rather than a sliver of tile. It can probably be beveled. Different methods on properly leveling a plywood subfloor. I am more interested in getting a floor flat and in plane than dead nuts level. Check out Noble SIS (http://noblecompany.com/products/nobleseal-sis). Used it a couple of times in condos. Not sure how much it helped but the owners were happy. This 4x4 shower floor was cut from 13x13 porcelain tiles. The low rez pics make the grout lines look wavy but they are not. I matched the factory edge by easing over. That was not framed as a second story but framed as ceiling joists. Light storage at best up there. How about a pic from the area below the patio. One of the ceiling and one of the walls. Many here prefer a mud bed and not use the foam tray. First thing to do is check your joist framing using the Deflecto tool in the dark blue banner above. Instense project. Have you checked you joist structure with the 'Deflecto' tool in the dark blue banner above? 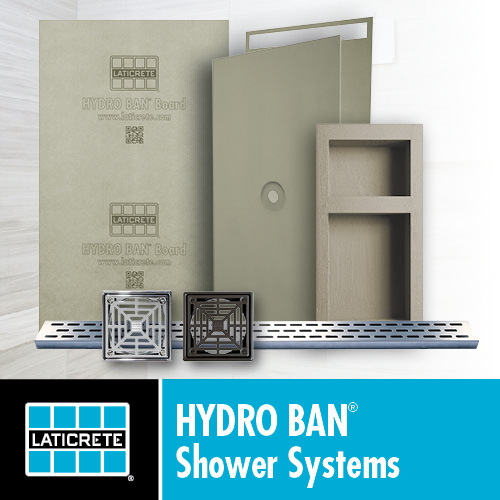 Curbless shower Project - Possible??? Make sure any beam support is on an appropriate footer. 4x4 should be OK if it is anchored properly. Did you check your joist structure with the "Deflecto" tool in the dark blue band above? What direction did you install the new ply? Rather than place a mid span beam we often build a closet the length of one of the bearing walls or beams to reduce the span if there is a basement or a room below to reduce the span.